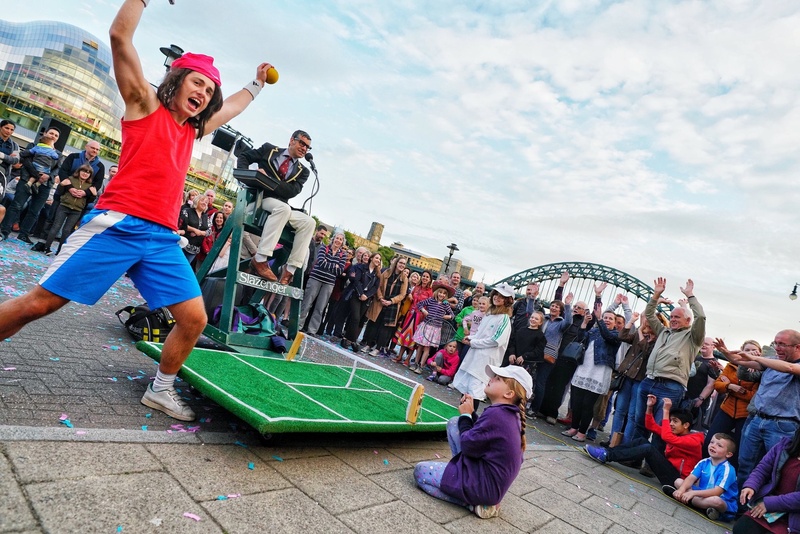 Fairly Famous Family | Anyone for Tennis Goes Mobile! 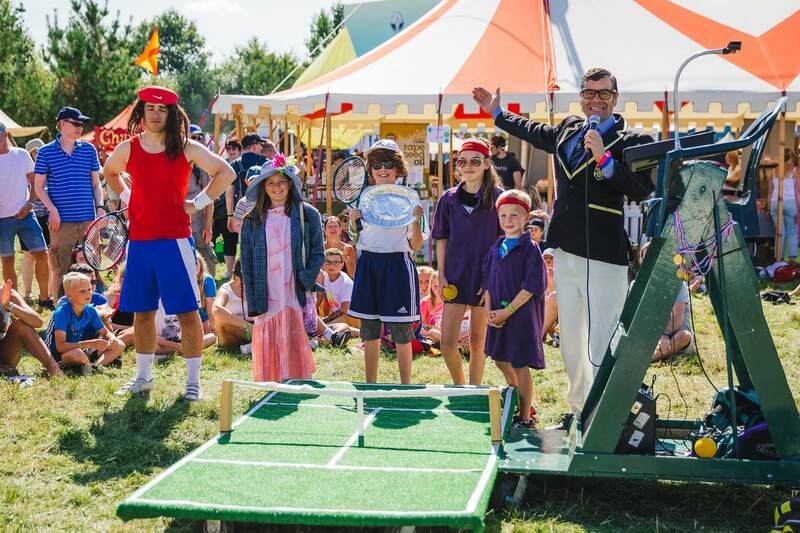 I just wanted to say a quick thank you for bringing Anyone for Tennis to Big Feastival this year! It was a brilliant performance and you both did a phenomenal job. 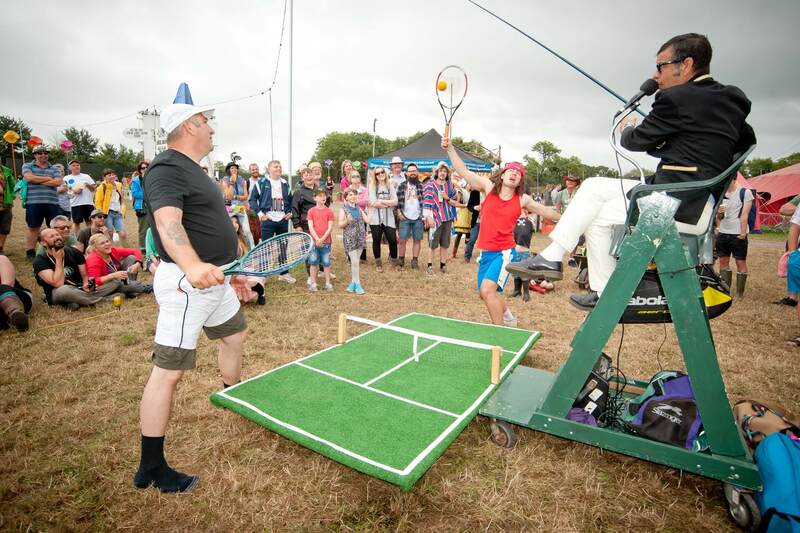 By popular demand, Britain’s top ‘minature, outdoor, comedy tennis show’ has just gone mobile. 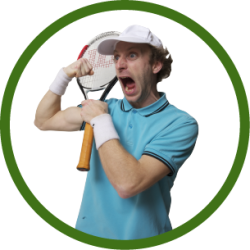 Pulling the court, scoreboard and posh umpire behind him, our highly strung tennis player searches streets, parks and town centres for worthy opponents. 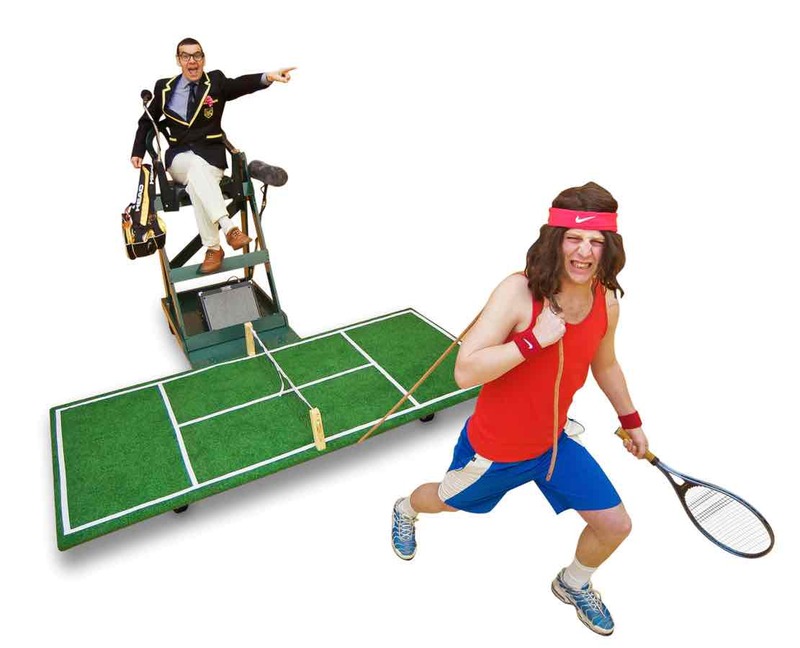 The court is pristine, the umpire inscrutable and the sprinkler system is unpredictable and indiscriminate – its just like the real thing! 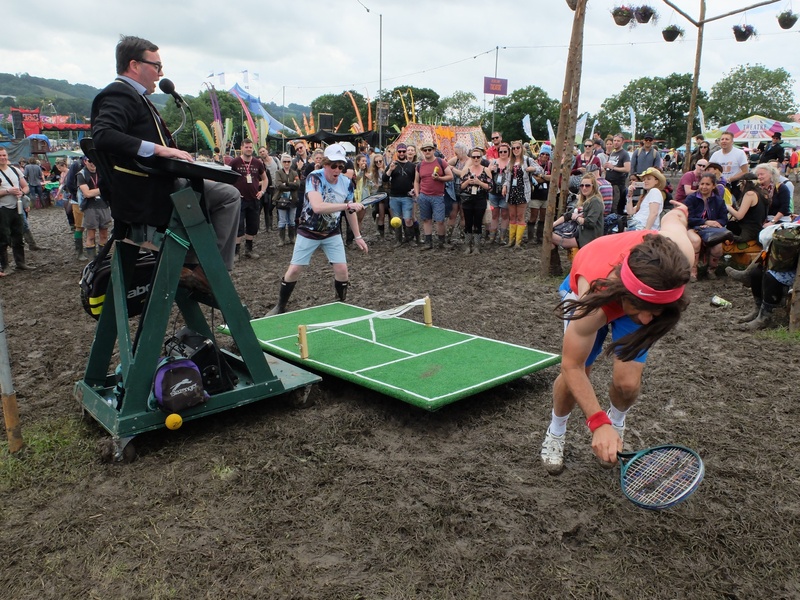 I saw your tennis in Belladrum a few years ago – highlight of the festival! 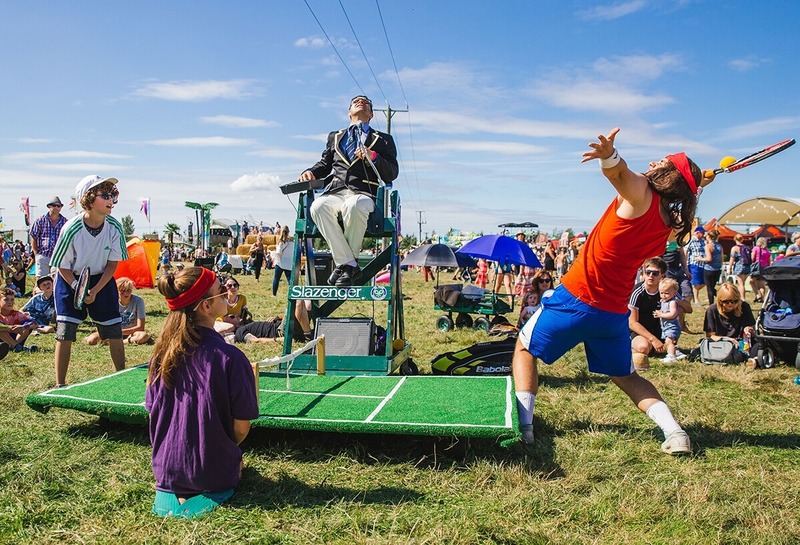 The the player pulls court and umpire along while the umpire encourages members of the public to try their luck against the champ. 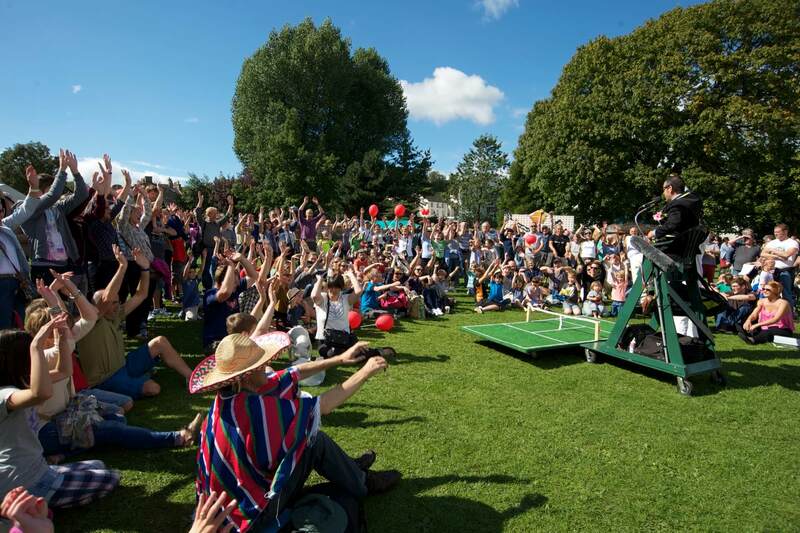 The volunteers are ‘themed’ with baggy shorts, t shirt and cap and play game with comedy interruptions for slow motion replays, sprinkler malfunctions, Mexican waves etc.